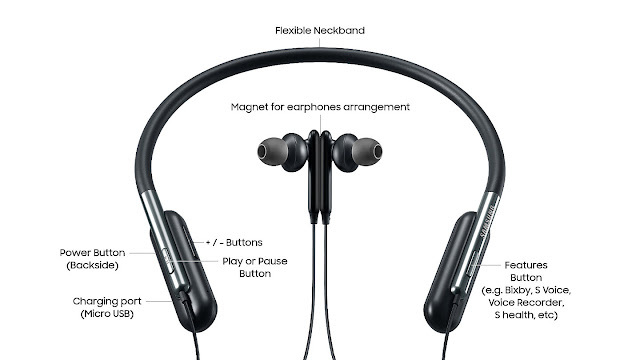 Samsung announced a new Bluetooth headphones the Samsung U Flex. They are the tethered earbuds, which have a comfy neck holder and tons of controls on deck, including a button that activates Bixby. Samsung has announced its U Flex premium headphones, with a bendable design and dedicated Bixby button for Galaxy S8 and Galaxy S8+ users. The headphones will come in Black, Blue, and Ivory trims. The company hasn’t announced pricing or availability details but we suspect that should arrive along with the Galaxy Note 8 that's set to launch on August 23. 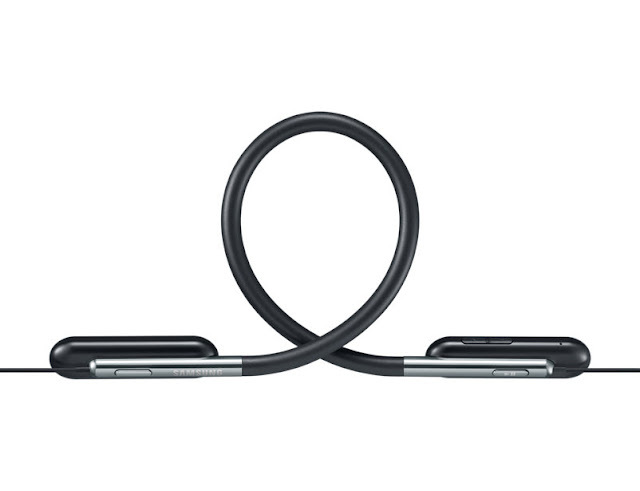 The Samsung U Flex headphones are designed to be rugged and are said to be able to withstand harsh conditions. The neckband is designed to be flexible by up to 100 degrees, which means you can contour it to easily fit in your pants pocket or a small hand bag. The controls and ports are placed on both ends of the neckband. On the left, we have buttons to control music playback, a power button and a Micro-USB port. On the right, there’s a dedicated button called Active Key, which can be customised to access various functions like the clock, timer, Samsung Health, favourites or voice assistants like Bixby. 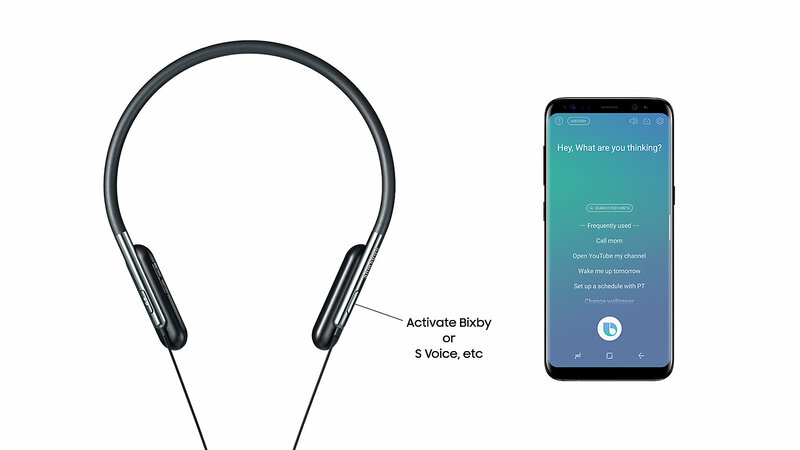 If you don’t have a Bixby-capable smartphone, then you’ll be able to summon S Voice on other Samsung phones. All this can be controlled via the Samsung Level app on Android.